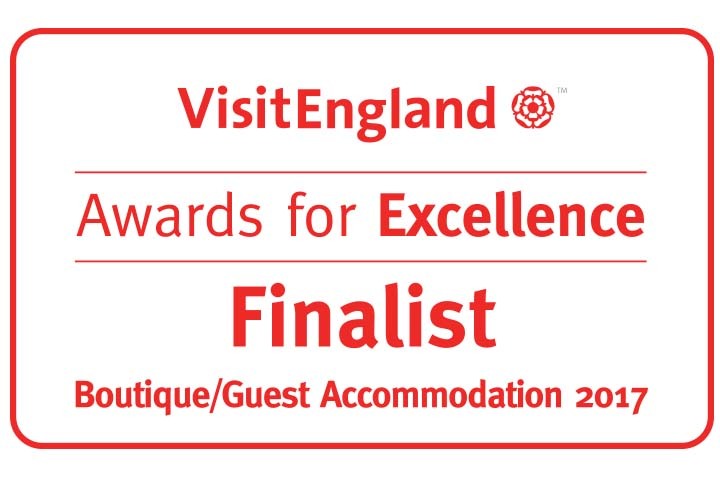 Grassington House is one of three finalists in the VisitEngland Awards for Excellence 2017, the most prestigious awards in English Tourism. Shortlisted in the Boutique / Guest Accommodation of the Year category, the nine-bedroom restaurant with rooms is located in the heart of the pretty village of Grassington in the Yorkshire Dales. Owners John and Sue Rudden will travel to the Hilton Waldorf’s famed Palm Court for afternoon tea on 24 April, where the finalists will be celebrated, and the winners will be announced. Owner Sue Rudden says; “We are absolutely over the moon with the news and it is a real honour to be a finalist. Our team works tirelessly and with dedication to keep the standards and experience here at Grassington House so very high, and this is a real tribute to each of them. Working collaboratively with industry, VisitEngland’s Awards for Excellence celebrate the best in English tourism. Grassington House has received a string of accolades recently, including Finalist for Small Hotel in the White Rose Awards, an double AA Rosette award for the eighth year running, and Finalist in the Yorkshire Evening Post Oliver Awards for Rural Restaurant this month.